This is the most basic idea, but set an alarm on your phone that occurs daily to remind you to do a certain task. On the iPhone, there is an app called Reminders, go in there and set yourself a daily reminder to eat as many times as you need to. For you, that may look like 3+ reminders a day for breakfast, lunch, dinner, and maybe even some snacks. Or, you may only need one reminder because you are pretty terrible at eating one meal in particular. For example, it’s so easy to skip breakfast or work through lunch so you may not need all the reminders, just reminders for those meals in particular. You want to set this around your schedule, so try to pick the most convenient alarm times for that. After all, you don’t want an eat food alarm going off during class time. It can get easy to get frustrated when you are hungry now, but there are no meals at your house. There are so many easy meal recipes that you can make then freeze or refrigerate for a later date. Many students pick a specific day (usually Sunday) to prepare a ton of meals for the week, then they get some Tupperware to store it all in. Meal prep is a great thing, especially if you have a slow cooker in your apartment because you can usually throw all the ingredients in the slow cooker, set it, then forget about it for a few hours while you run errands, do your homework, or even take a good old fashioned college nap! If meal prepping is not your favorite thing in the world, there are so many great meals you can keep in your freezer for the moment when you want food NOW. 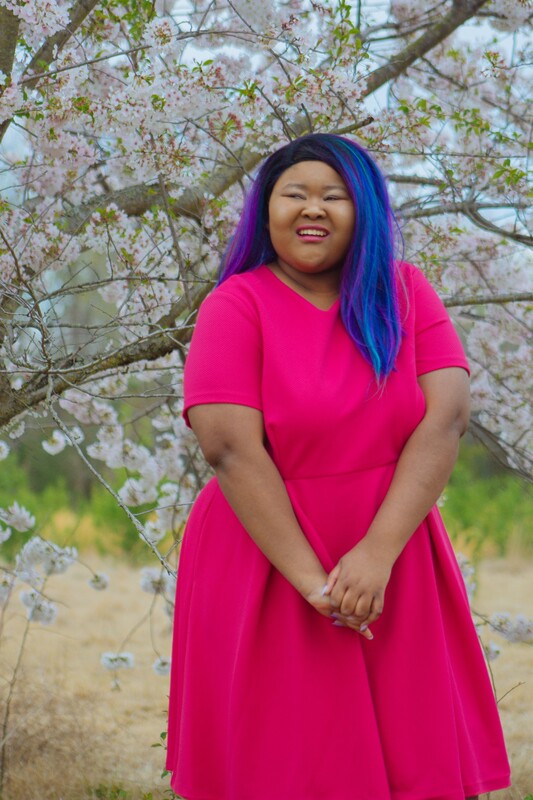 I have been obsessed with Tai Pei lately, and I know that you will be too. Tai Pei has wonderful frozen fried rice options for you to keep any time you need food, and they are very reasonably priced. At my local store, these dishes were only about $2.28! Want to try Tai Pei’s frozen fried rice? 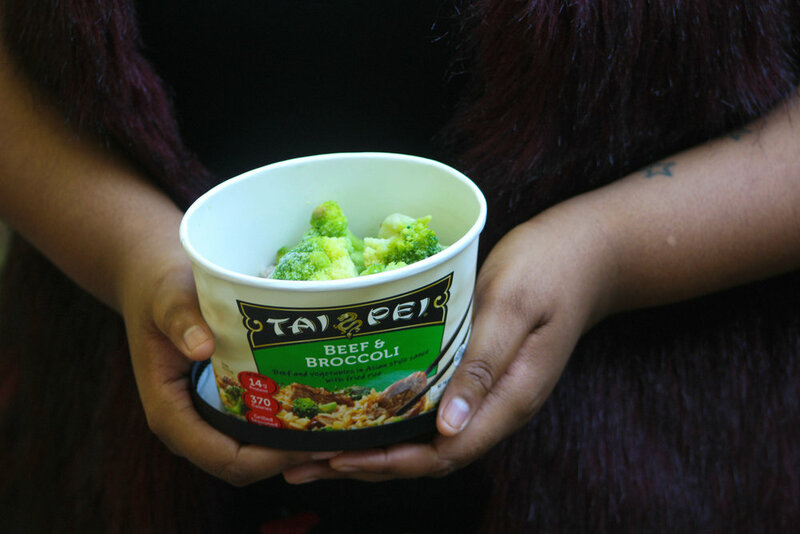 Tai Pei is giving you a $1 off coupon on any Tai Pei single-serve bowl if you click the last link! 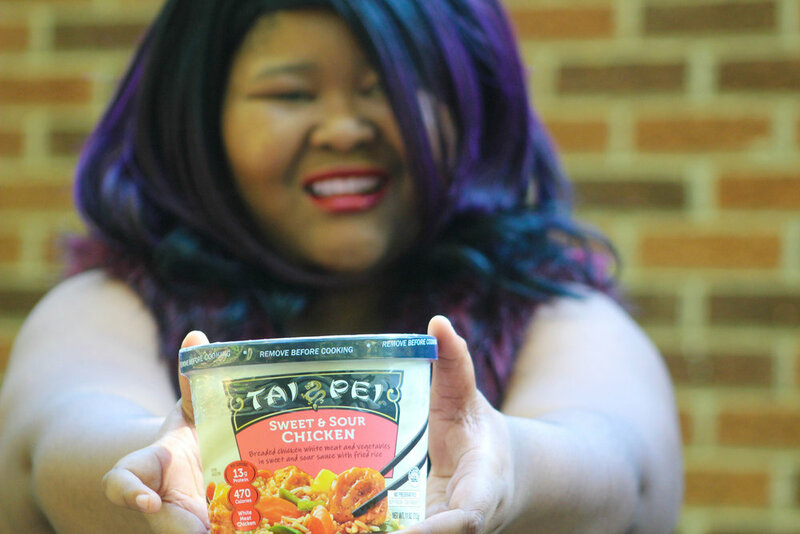 If your store is priced like mine, that means you can try a delicious meal from Tai Pei for just $1.28! Use the store locator to see where Tai Pai is available in your area. Tai Pei meals are literally the easiest thing in the world to make. You keep them in the freezer and when you are ready to eat a meal you break the seal, pop it in your microwave for 4-5 minutes, let it set for 2 minutes, then you are ready to eat! It’s such a good meal and it’s very well seasoned. For this post, I picked up the Tai Pei Beef & Broccoli (my favorite Asian dish) along with the Tai Pei Sweet & Sour Chicken dish. My Beef & Broccoli meal had tons of premium beef strips, rice, onion, and broccoli florets. My Sweet & Sour Chicken dish was filled with tons of things like carrots, bell peppers, onions, pineapple, rice, and of course tons of breaded white meat chicken. Each, with a few seconds of mixing, was coated in a delicious sauce that elevated both their flavors. I highly recommend trying these two dishes out when you need a quick meal! 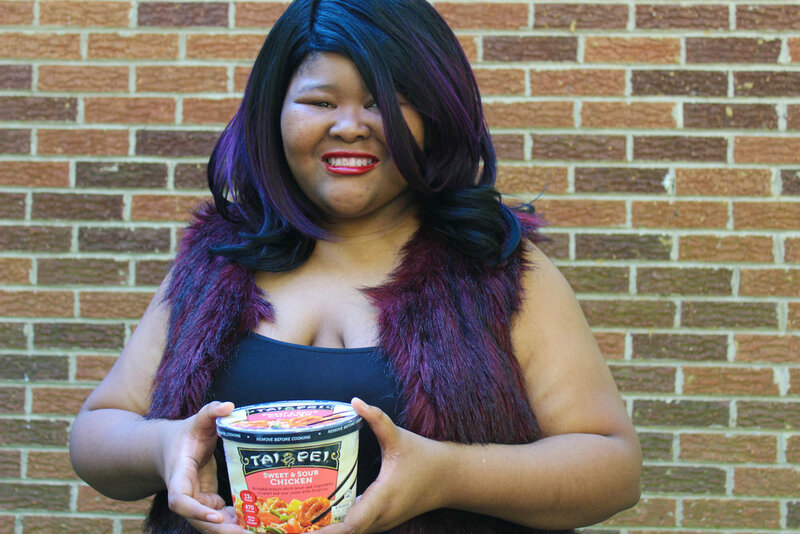 When you have delicious meals like Tai Pei around your dorm or apartment, it can make eating in college so easy. Routine is so important when it comes to doing anything. When you have a routine set, it becomes easier for your body to adjust and do certain things automatically. Now, routine isn’t always easy in college because you can’t pick everything you have to do on a daily basis. Even if you can only pick a routine for certain days, it’s better than having no routine at all. So, develop a weekend routine, a morning routine, a nighttime routine, etc. If you can compartmentalize your routines so they are separate tasks, and not just have a daily routine, setting routines can be much easier. Often, the reason that we just let our stomach growl so much it stops alerting us is because we didn’t prepare in advance for our activities that day. So, bring snacks with you when you need to go to the library, or bring your Tai Pei with you if you have access to a microwave on campus. It’s so easy to pack a lunch before you go to school, even if it is a light lunch! When you prepare for potential late night library study sessions during dinner time, by not only meal prepping but actually taking your lunch or dinner with you to school, you can cut down on a lot of unnecessary hunger during the day. 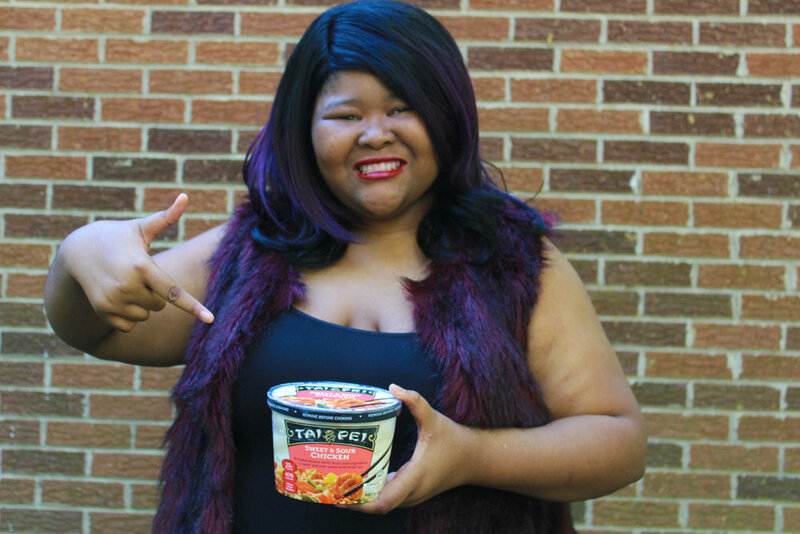 Eating throughout the day and not skipping meals is so important in college. There are already SO many stressful things happening, and the ever so awful freshman 15 waiting. It is important for us to eat right and take our meals seriously. When you skip meals or go through the day hungry, you are not performing your best. 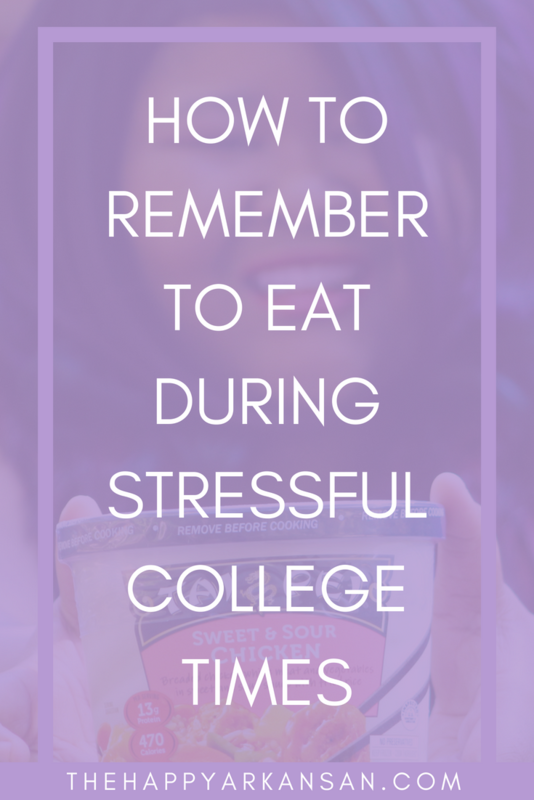 When I was in college, I couldn’t focus on my homework or in class when I was really hungry. 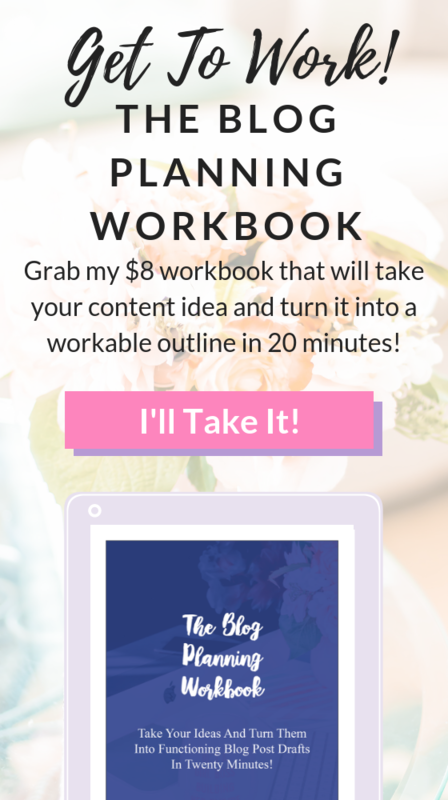 Now that I am a freelancer/blogger from home, I can’t write the content that I need to write for y’all or my clients when I am hungry. So, remember to take a break and eat food so you feel refreshed. Thanks again to my friends at Tai Pei, I will be sharing a few more stories with them in the coming months so be on the lookout for them to appear on the blog soon. While you are waiting, don’t forget to try Tai Pei frozen fried race with a $1 single serve bowl coupon. Also, don’t be afraid to check them out on Facebook, Twitter, and Instagram.